We’d love your help. 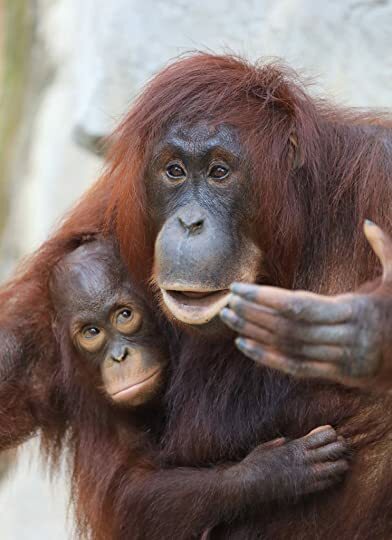 Let us know what’s wrong with this preview of Mama's Last Hug by Frans de Waal. 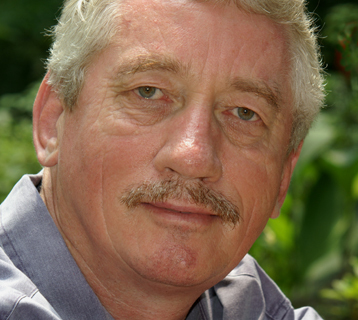 Frans de Waal has spent four decades at the forefront of animal research. Following up on the best-selling Are We Smart Enough to Know How Smart Animals Are?, which investigated animal intelligence, Mama’s Last Hug delivers a fascinating exploratio New York Times best-selling author and primatologist Frans de Waal explores the fascinating world of animal and human emotions. To ask other readers questions about Mama's Last Hug, please sign up. Will there be an audio or large print version of this? As a student, realizing that my biology books were of little help explaining chimpanzee behavior, I picked up a copy of Machiavelli’s The Prince. It offered an insightful, unadorned account of human behavior based on real-life observations of the Borgias, the Medici, and the popes. The book put me in the right frame of mind to write about ape politics at the zoo. We know our own inner states imperfectly and often mislead both ourselves and those around us. We’re masters of fake happiness, suppressed fear, and misguided love. This is why I’m pleased to work with nonlinguistic creatures. I’m forced to guess their feelings, but at least they never lead me astray by what they tell me about themselves. Jan van Hoof was two months shy of eighty years old and Mama was one month shy of fifty nine when they said their goodbyes. They had known each other for forty years. She’d been sleeping a lot, had lost considerable weight, which was not surprising for one of the world’s oldest zoo chimpanzees, but she finally wakes up, spots Jan, and beams with a smile far wider than any human could produce. She bleats out a high-pitched call of greeting while reaching up for Jan’s head, pats the back of his neck and strokes his hair, pulling him closer. It is a moving moment that most of us might struggle to get through without releasing at least one or two tears of recognition. And why not? There are many more ties that bind us than there are those that divide us. And with this tearful scene we are delivered to a key question. Just how different are humans from apes, from animals, in terms of our emotional lives? In 1980, the Dutch-born author learned that a favorite chimpanzee alpha had been murdered by two male rivals in the colony. It became a life-changing event for him. He was about to move to the USA and continue his study of apes, but he realized that there was far too much that was not known about the roles of cooperation, reconciliation, pro-social behavior, and fairness in the animals’ relationships. He redirected his life studies toward gaining a better understanding of such long-neglected areas of animal behavioral research. Franciscus Bernardus Maria "Frans" de Waal is now a world-renowned primatologist and social psychologist who has broken much new ground in our understanding of animal psychology and emotion. Competition was always studied in his field, but de Waal was the first to establish intentional deception, conflict resolution, and a non-human basis for empathy and morality. A serious scientist, whose popular writing has brought his theories to a wide readership, his list of awards and recognitions would fill the page. His most recent book is Are We Smart Enough To Know How Smart Animals Are? Hopefully, enough of us are. The question here is whether we are perceptive enough to be able to recognize and appreciate animal emotions. This is not a book about Mama, although her story does illustrate de Waal’s point. Many researchers appear to have an irresistible impulse to portray animals as entirely separate from people. De Waal is interested in showing us that there is far less difference than human exceptionalists would like to think. Are we really so different? There have been many lines scientists have drawn that supposedly separate humans from animals, that separate us from our biological roots. Once it was claimed that humans are different because we use tools. That lasted until researchers discovered that diverse sorts of creatures also use tools. Brain size? Number of neurons? Nope, nope. More recently, a difference-maker has been claimed in our experiencing of emotions, portraying animals as virtually mechanical. Anyone with cats, dogs, or most other sorts of pets can assure you that our companion animals do indeed have emotions. As do, apparently other animals as well. Now there is research to back up what is obvious to many of us. The anthropomorphism argument [that we merely project our emotions onto the animals being studied] is rooted in human exceptionalism. It reflects the desire to set humans apart and deny our animality. To do so remains customary in the humanities and much of the social sciences, which thrive on the notion that the human mind is somehow our own invention…Modern neuroscience makes it impossible to maintain a sharp human-animal dualism. We have trouble imagining fairness as an evolved trait party due to how we depict nature. Using evocative phrases such as “survival of the fittest” and “nature red in tooth and claw,” we stress nature’s cruelty, leaving no room for fairness, only the right of the strongest. In the meantime, we forget that animals often depend on each other and survive through cooperation. In fact, they struggle far more against their environment or against hunger and disease than against each other. [Rested now? Ok, back to it]…whether humans are alone in having free will, the impact of increasing inequality on longevity. Is there a human instinct for war? Do animals laugh or smile? Can animals commit murder? What is the relationship between intellect and emotion? What does it mean to be an alpha male? And where did our notion of that term originate? What is the relationship between emotions and free will? The difference between feelings and emotions? I could go on, but you get the picture. The idea that we can achieve optimal sociality only by subduing human biology is antiquated. It doesn’t fit with what we know about hunter-gatherers, other primates, or modern neuroscience. It also promotes a sequential view—first we had human biology, then we got civilization—whereas in reality the two have always gone hand in hand. There is an entire chapter on smiling and laughter, (yes, they do) which is a real revelation regarding what the source of humor might be. We may not be in full control of our emotions, but we aren’t their slaves either. This is why you should never say “my emotions took over” as an excuse for something stupid you did, because you let your emotions take over. Getting emotional has a voluntary side. You let yourself fall in love with the wrong person, you let yourself hate certain others, you allowed greed to cloud your judgment or imagination to feed your jealousy. Emotions are never just emotions, and they are never fully automated. Perhaps the greatest misunderstanding about emotions is that they are the opposite of cognition. We have translated the dualism between body and mind into one between emotion and intelligence, but the two actually go together and cannot operate without each other. What has been learned from the lessons discussed here can be used to improve not only how we treat animals that are housed in zoos, and used in research, but in how livestock can be treated more humanely, reinforcing the work of researchers in this field, such Temple Grandin. De Waal is a first-rate writer, bringing to his books an engaging style, and an ability to make complex subjects accessible to the average reader. He even exposes, on occasion, a sense of humor, which is always welcome in popular science writing. De Waal makes a strong case that our emotions not only do not separate us from other beings, but show our deep connection to them. He shows how emotions+intellect is a formula that has been very successful for the survival of many species, and offers a far more flexible approach to solving new problems than rigid instinctual responses ever could. He gives us good reason to recognize our shared inheritance, our fellowship and sisterhood with a vast array of earth’s creatures, and in so doing, offers us tools to better understand our behavior as a species, and the behavior of non-human living things all around us. It is an intellectual whirlwind, with many new ideas flying around. Plenty there to grab and inspect. Mama’s Last Hug should be the beginning of a new widespread appreciation for our own social, emotional and psychological roots, and empathy for the experience of others. Embrace it. -----An excerpt from the book - What Do We Really Know About Animals’ Emotions? Frans de Waal’s latest book, Mama’s Last Hug: Animal and Human Emotions, is a survey of various emotions — what they are, when they arise, and how they are identified — in both animals and humans. Each chapter covers a different set of emotions or concepts related to them, such as emotional intelligence and sentience, described with a plentiful assortment of de Waal’s firsthand anecdotes from his decades studying primates as well as summaries of other scientific publications. In short, he assert Frans de Waal’s latest book, Mama’s Last Hug: Animal and Human Emotions, is a survey of various emotions — what they are, when they arise, and how they are identified — in both animals and humans. Each chapter covers a different set of emotions or concepts related to them, such as emotional intelligence and sentience, described with a plentiful assortment of de Waal’s firsthand anecdotes from his decades studying primates as well as summaries of other scientific publications. In short, he asserts (and with much credible evidence) that not only do animals have rich emotional lives, but they very much parallel that of humans. Anyone who has a pet at home perhaps will shrug at why this is such a big deal. Like other people who own pets, I’m no stranger to describing the behavior of my cats in emotional terms: they become mopey and depressed when my suitcases come out and they know I’m going to be gone for a while; when I come home from work or a trip they’re ecstatic to see me; they get frustrated when their food or water dish has been empty too long; etc. This is just what the average person tends to do, and we don’t think twice about it. The thing is, scientific reasoning has discredited this for ages as anthropomorphism (and the topic gets a nice overview early on in Mama’s Last Hug), which has long been the “silly foolish thing” humans do that’s just plain nonsense. As Frans de Waal and other scientists have worked hard to prove over the years this is actually not the case. Hard, irrefutable, scientific evidence is now coming out to show that we humans are not on a magnificent pedestal above the rest of the animal kingdom after all. Advances in neuroscience and a growing awareness of and accounting for once-ignored variables in experimental data (like social animals being tested in isolation versus in a social environment, or the very distinct differences in rat behavior when lab technicians are male or female) have only shown that we humans are far more similar to the rest of the animals than we are dissimilar. Turns out, we humans aren’t actually bad at correctly assessing the emotional states of animals, either. Personally, I devoured this book as quickly as I could. I’ve highlighted so many passages, and discussed the stories and conclusions with anyone that will listen. I’ve always been endlessly fascinated with where scientists are going with their studies of emotions, and usually find myself skimming some psychology publications just for fun. In fact, I even participated in research myself — partly to see how experiments were run, partly to get a free MRI of my brain (why not?). But I always come away from it all a bit perplexed by the over-reliance on linguistics. A brain scan and one’s body language/facial expressions will always depict what one’s emotions are regardless of what they may say to the contrary. Furthermore, humans simply have a tendency to not understand their own emotions, or at the very least struggle to communicate them in a way that’s fully understood from one person to the next, if they aren’t outright lying about what their emotions are. Language is an abstraction over the more complicated mess contained within. Sure, I can tell you something made me “sad” with my fancy human language skills, but do you really know what I experience if you can’t see my expressions or behavior? Mama’s Last Hug has made me think rather deeply about what really does differentiate us from the other animals on our planet. I’ve never questioned if animals are actually clever, or if they have emotions (and by extension feelings), but I didn’t quite realize just how tremendously much we share until finishing this book. When I look at my species, I see our differences from the other species on this planet in our artistic works and creative endeavors. But in uniquely human traits, I also see a dark side: an endless appetite for destruction and a capacity for doubting, questioning, and ultimately ignoring our own emotions as if they were somehow not an intricate part of us. The capability for empathy and self-sacrifice isn’t uniquely human; instead, it is a life-preserving tendency shared amongst most if not all animals. There is life-giving, life-preserving wisdom in what we’ve long considered primitive or basic, and it stares right back at us when we slow down long enough to really see our animal cousins and what they innately know and do that we so readily resist. I couldn’t recommend Mama’s Last Hug: Animal and Human Emotions by Frans de Waal enough. From the wonderful stories of observed animal emotions, to the thoughtfulness spurred regarding how we treat animals and how we think about ourselves, there’s a lot of to be gained from reading this book. It was delightful to read and I am looking forward to reading Frans de Waal’s prior works as well! Early ethologists studied animal behavior to understand a shared motivation. Their experimental setup was elegant and objective, but the underlying motivation for animal behavior was ignored. For example, fear and anger, and the animal reactions to it were carefully examined and conclusions were drawn. The prevailing assumption in these studies were that animals had instincts that gave inborn actions triggered by a situation. Behavioral biologists have changed this approach because the instincts are inflexible, and they have started to look from the point of emotions which allow flexibility. They prime body and mind, but do not dictate any specific course of actions. Emotions are neither invisible nor impossible to study; they can be measured. Levels of biomolecules associated with emotional experiences, from the “cuddle hormone” oxytocin to the stress hormone cortisol, can easily be determined. The hormones are virtually identical across the board; from humans to birds to invertebrates. The artificial intelligence (AI) recognize the importance of emotions. AI with emotions would interact with humans with empathy and human-like emotions, and hopefully do not destroy mankind when they become too powerful. It is expected to facilitate engagement and working together for common good. In this book, the author, a well-known primatologist proposes that animals experience emotions in the same way as humans do. Emotions infuse everything that inspire cognition and drives all animals and humans. By examining emotions, this book puts these vivid of mental experiences in evolutionary context, revealing how their richness, power and utility stretch across species and back into the history of animal kingdom. I recently went to the zoo at the behest of a friend of mine (I hadn’t been to a proper zoo since I was a child) and was reminded why I hadn’t been in such a long time. Animals in small enclosures, appearing listless with nothing to stimulate them, was for me the opposite of entertaining. It was profoundly moving but not perhaps in the sense that my acquaintance might have wished. Particularly disturbing to me was seeing the macaques, gorillas, chimpanzees, and other primates. When my friend se I recently went to the zoo at the behest of a friend of mine (I hadn’t been to a proper zoo since I was a child) and was reminded why I hadn’t been in such a long time. Animals in small enclosures, appearing listless with nothing to stimulate them, was for me the opposite of entertaining. It was profoundly moving but not perhaps in the sense that my acquaintance might have wished. Particularly disturbing to me was seeing the macaques, gorillas, chimpanzees, and other primates. When my friend sensed that I was not happy to see them despite my love of bonobos and chimpanzees in particular, I explained how sad it was to see these profoundly social animals with intricate friendship and family bonds be isolated by themselves in a small cage. In “Mama’s Last Hug”, Frans De Waal doesn’t go deeply into how zoos are problematic (he does briefly touch on it) but he does ask and defend the question as to whether primates in particular are capable of emotions. If you’ve read De Waal before you are probably familiar with his answer but here he uses his and others research as well as entertaining and fascinating anecdotes to answer that he believes they do. He gives wonderful examples of a wide variety of facial expressions that correlate with our own (our facial structures are remarkably similar), how primates feel and show shame, bargain amongst themselves and others (he cites macaques at a temple of Bali who often steal particular items such as cell phones from tourists. Rather than run away with them, the monkeys sit a safe distance away until the tourists hands over a sufficient amount of food, at which point the monkey will put down the valuables and walk away with its bounty). In his perhaps most touching story, De Waal recounts the story of Mama, a female chimp who was the alpha female for decades at the colony De Waal supervised in Holland. 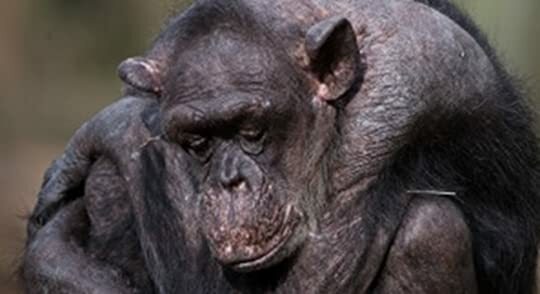 As she became sick and near death, one of the staff members who had been with her for years went into her cage to say goodbye (a quite dangerous thing to do and one that he freely admitted later he would never do with any other chimp). Mama on seeing and clearly remembering their relationship over the years, gave him a long hug as if to say goodbye that can been seen on Youtube (highly recommended you have some kleenex handy). Was she aware of her impending death? Maybe. Maybe not. But even the most hardened cynic would have to admit that there was at a bare minimum recognition on her part and more likely warmth that we as humans like to assign solely to ourselves. Why do so many scientists still refuse to acknowledge that beings other than humans are capable of complex emotions? Is it that it would complicate experimentation on them? Make eating them extremely problematic? Educational, entertaining, enlightening, evidentiary. de Waal is devoted to his subject both intellectually and emotionally, and once you've read the book, you might believe (as I do) that that's the same fidelity. It took me all of the book to grasp that emotions are not feelings, and it's taken the behaviorist, psychologist, biologist schools decades to sort it as well. We (and this we perhaps has an arrow pointed at American studies for the perpetuation of this misconception) accept that anim Educational, entertaining, enlightening, evidentiary. de Waal is devoted to his subject both intellectually and emotionally, and once you've read the book, you might believe (as I do) that that's the same fidelity. It took me all of the book to grasp that emotions are not feelings, and it's taken the behaviorist, psychologist, biologist schools decades to sort it as well. We (and this we perhaps has an arrow pointed at American studies for the perpetuation of this misconception) accept that animals are lower on the evolutionary ladder than the venerated us. Humans talk. And talk and talk. Other sentient beings don't. Not to us, which disqualifies them from apex status. But then we aren't all that great at observing without being told what to see. For this reason alone, I've never been sure that homo sapiens earned its pedestal-topping roost. Fierce listening, as my friend says, is what we need more. Observation and listening are conjacent. de Waal sorts sentience into tiers, and you will be fascinated by the way he sticks this knowledge so you won't soon forget. All the old saws about the reasons animals are so far below us don't hold water. Or air either. Do orangutans plan ahead? Are chimpanzees empathetic? Do dolphins remember? Does a rat like being tickled? Does a community of primates understand death? How do battling chimps achieve accord? Do alpha females seek revenge? I won this in a Goodreads giveaway. What a wonderful book! I enjoyed it and would highly recommend it! If you want to understand some of the whys of how our human society works, read this book. If you love animals and want a deeper understanding of our planet mates, this will give it to you. If you are interested in increasing your emotional intelligence, this is a fascinating guide. Frank de Waal is a master observer, scientist and storyteller. Mama’s Last Hug is an exquisitely delivered perspective filled with enlightening wisdom emerging from the truth that we are all creatures, equal and uniq If you want to understand some of the whys of how our human society works, read this book. If you love animals and want a deeper understanding of our planet mates, this will give it to you. If you are interested in increasing your emotional intelligence, this is a fascinating guide. Frank de Waal is a master observer, scientist and storyteller. 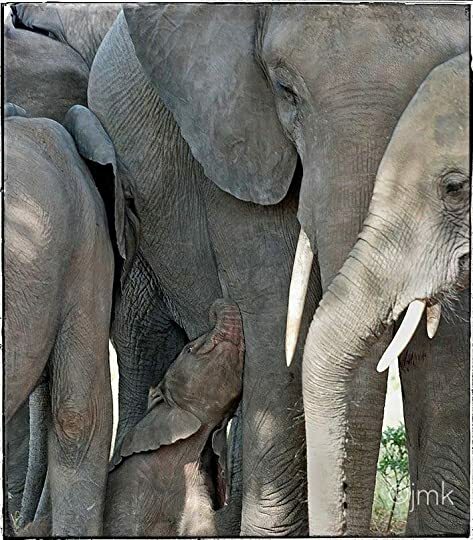 Mama’s Last Hug is an exquisitely delivered perspective filled with enlightening wisdom emerging from the truth that we are all creatures, equal and unique, on this amazing Earth. Highly recommended! And if you love this book, you may want to check out Animal Wisdom Word Search: Yoga for the Brain. Olga Werby Very nice review! I've heard Prof. de Waal speak about this book -- very moving. Thank you for recommending it. Cristina Smith Olga wrote: "Very nice review! I've hear Prof. de Waal speak about this book -- very moving. Thank you for recommending it." Olga wrote: "great review! Olga wrote: "Very nice review! I've hear Prof. de Waal speak about this book -- very moving. Thank you for recommending it." 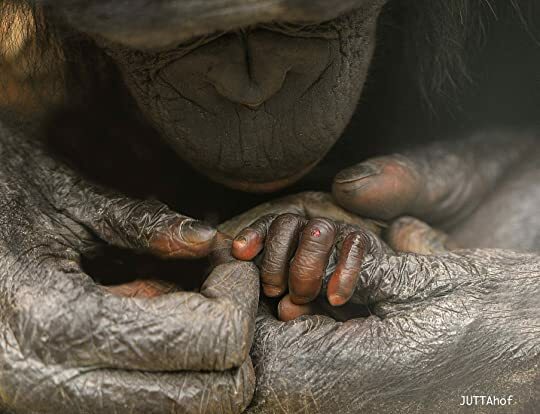 The title of this latest work on primate-human emotion and cognition comes from the final act of a matriarchal chimpanzee whom the author, Frans de Waal, had studied at great length. This initial image which was also captured in viral social media videos is a deft distillation of many of this book's main points. 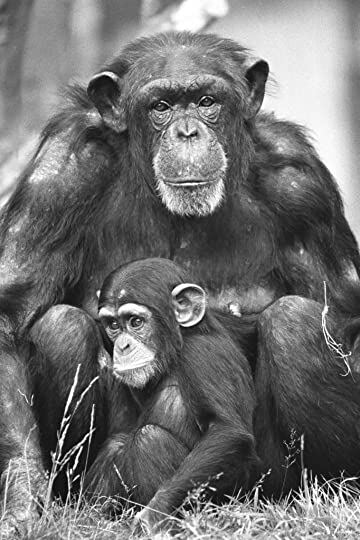 For much of the 20th century it was taboo among primatologists, evolutionary biologists, and psychologists to speak of, "animal emotion," given that they were viewed as not capable of pro The title of this latest work on primate-human emotion and cognition comes from the final act of a matriarchal chimpanzee whom the author, Frans de Waal, had studied at great length. This initial image which was also captured in viral social media videos is a deft distillation of many of this book's main points. For much of the 20th century it was taboo among primatologists, evolutionary biologists, and psychologists to speak of, "animal emotion," given that they were viewed as not capable of producing anything recognizable as such. However, as studies became more rigorous, methods became more advanced, and data was accumulated; the notion that there is some sort of barrier between what we recognize as our own cognitive function and emotional actions/representations and those of the animal kingdom began to break down, perhaps most potently in the study of our closest evolutionary cousins: chimpanzees and bonobos. The discussion here has great implication for a number of issues including that of free will, sentience, the importance or non-importance of language in emotional development, updating our notion of instinct, and most interestingly for me the genuine origins of consciousness (again, a word thrown around as if it were uniquely human by the very same people who cannot tell you in any specific sense what it is). There are some missteps here including a dismissal of the work of Paul Bloom that doesn't seem to have been based on the substance of his actual argument in the work discussed, a vast reductionist take on some work of Pinker that again doesn't actually address his point or his data, and an unnecessary but thankfully brief discussion of Rawls' Theory of Justice. Bravo! Simply amazing eye opening book! Poper review coming up. I won an advanced reading copy in one of the goodreads giveaways. I am enjoying reading about the emotional similarities between human and chimpanzees. Excellent book and I would recommend reading it to anyone interested in social behaviors of humans and animals. A very interesting book. As a person who has always had animals, I already "know" that they have emotions and feelings. I also know that they are able to read the feelings of other species, especially us humans. It was quite educational to see how this has been documented over the years in numerous species - not only those that have been domesticated, or widely observed in lab settings such as mice and monkeys, but even fish! Because of the academic feel of the book, it wasn't a quick read, but o A very interesting book. As a person who has always had animals, I already "know" that they have emotions and feelings. I also know that they are able to read the feelings of other species, especially us humans. It was quite educational to see how this has been documented over the years in numerous species - not only those that have been domesticated, or widely observed in lab settings such as mice and monkeys, but even fish! This was a really good read, I couldn't put it down. I arrived at home got the book in the mail and started reading. I finished this book in one sitting. This book is very very well-written. It makes sense. This fascinating look at the latest research about the emotional lives of animals is filled with interesting ideas and examples (including Mama, the unforgettable chimp of the title). 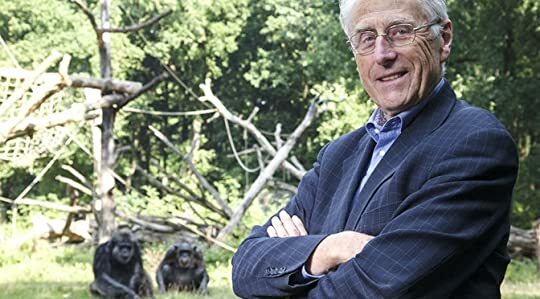 Frans de Waal is an excellent guide, sharing insight and opinion from the vantage of a long career in studying primates. This is a reader-friendly work of popular science that opens our eyes so we can see ourselves as part of the continuum of nature. 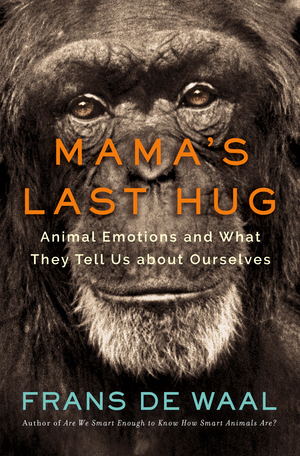 His argument is that it makes much more sense to understand that This fascinating look at the latest research about the emotional lives of animals is filled with interesting ideas and examples (including Mama, the unforgettable chimp of the title). Frans de Waal is an excellent guide, sharing insight and opinion from the vantage of a long career in studying primates. This is a reader-friendly work of popular science that opens our eyes so we can see ourselves as part of the continuum of nature. His argument is that it makes much more sense to understand that our emotions are rooted in nature and shared, to a surprising extent, with our fellow animals, most especially our closest relations (primates, mammals) who are so much like us in other ways (anatomy and behavior). And he explains why it took so long for science to build the case for what might seem like an obvious truth. He also draws a fascinating and useful distinction between emotions (external, manifest, available for scientific study) and feelings (internal, private, mostly elusive to science) and challenges the old Western bias that tends to see emotions as counter to intelligence when (as modern human psychology has increasingly shown) emotions are actually part of intelligence. If you've read Are We Smart Enough to Know How Smart Animals Are?, this is an excellent companion, but you don't need to have read his previous book at all. It stands fine on its own and in fact reads at times like an update, as the author shares his latest thinking about research into animals. If I have one quibble here, it's that, like most of us, the author has clearly been processing the major events of the last couple years, and there is a page or two on which he addresses current events through his lens as a primatologist. Some of the statements he makes in this regard could have used a touch more finesse, as it can be unclear when and how he's drawing on observations of other primates to make statements about human nature. It may be best if the reader keeps in mind that the author is generally comparing us to our sibling primate species for insight and not saying we are the same. I can honestly say that de Waal's books have been life-changing (or at least eye-opening) for me, in the sense that they have helped me to see and appreciate that humans are a part of nature and are also animals, no matter how much we conveniently or egotistically tend to forget that reality. Lovers of animal and nature books, this is a real winner: substantial, accessible, thought-provoking, humane, and a great example of common sense and common decency at work. is a beautiful breath of fresh air for those of us who live with animals and often find ourselves explaining to non-animal people the behaviors of our beloved pets. These behaviors to us are easy to interpret, most of the time. As pet owners, we often say our pets have emotions and can even sense our own moods. We might get an eye-roll or a sideways glance from our non-pet owning friends or family members because they just don't understand. Frans de Waal is trying to understand but with science. Frans de Waal isn't interested so much in the everyday house cat or dog. His focus is more on the behaviors of Primates and no, I am not talking about humans. Although, we do fit into this research. He writes about recognizing ourselves in them. He writes about the relationship between the Chimpanzee Mama with not only her family group but her handlers as well. The relationship between chimpanzees was not just about eating and mating. It was a whole hierarchy of social structure similar to groups of humans, in some ways. Not all of the behavior was mimicked behavior, either. There were form, rules, and status within the groups that to the average viewer would look like chaos. The more he and others watched them, the more they learned there was a reason for what appeared to be chaos was in fact, a social order being run by Mama. The Alpha Female. He writes about how chimpanzees handle death. How they comfort each other and how they mourn the loss. This, to me, was one of the most interesting parts of the book. We all have heard the stories of dogs, cats and even wild animals standing guard over the body of a deceased group/pack member. 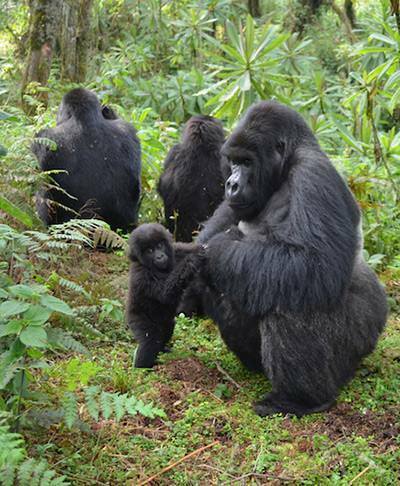 Frans De Waal brings some interesting points as to why this takes place. This is a well-written book, easy to follow, and interesting. It is packed full of great stories and personal accounts. I recommend this to anyone who is fascinated with animal sciences or loves animals in general. Thank you to W.W. Norton & Company, and Frans de Waal for sending me this great book to review. I am looking forward to the next one. Thank you for the ARC won on Goodreads. This is 3.75 stars. I suggested this book to our library having read an on-line review of it that included the video of de Waal meeting Mama and receiving her hug. How I wish she could talk! So kind, so loving, so glad to see him, and I wonder if she knew she was dying. And what did she see after she did so? One of the things I need/ed to think about is de Waal's distinction between emotions and feelings. I am not sure yet that I understand the distinction he is making. Though as he thinks many s This is 3.75 stars. I suggested this book to our library having read an on-line review of it that included the video of de Waal meeting Mama and receiving her hug. How I wish she could talk! So kind, so loving, so glad to see him, and I wonder if she knew she was dying. And what did she see after she did so? One of the things I need/ed to think about is de Waal's distinction between emotions and feelings. I am not sure yet that I understand the distinction he is making. Though as he thinks many species of animals have both, perhaps it doesn't matter if I get the two terms mixed up? Certainly I think gorillas, chimps, bonobos, and orangutans have emotions and feelings. Shrimp? probably not. Cuttlefish and octopi? The former do change color to camouflage and can be trained to change to patterns they never would use out in the environment, so do they have some sense of other animals' perception of them? Frans de Waal does here what other science writers would do well to consider: he puts forth his idea and opinion, then mentions---by name---the work of others which may support his view or may conflict with it. What a help! Especially since he crosses a lot of disciplinary borders, taking on philosophy, neurology, neurobiology, psychology and so on. Simply put, his years of experience and work have led him to believe that animals have emotions and quite possibly feelings, too. The distinction may Frans de Waal does here what other science writers would do well to consider: he puts forth his idea and opinion, then mentions---by name---the work of others which may support his view or may conflict with it. What a help! Especially since he crosses a lot of disciplinary borders, taking on philosophy, neurology, neurobiology, psychology and so on. Simply put, his years of experience and work have led him to believe that animals have emotions and quite possibly feelings, too. The distinction may be new to many, and he explains it, citing, among others, the work of Antonio Damasio. As a long time peripatetic student of 'science' as a general subject, I hold the view that a lot of the conflict among scientists arises from prejudice and emotional blindness. Perhaps the biggest hoo-ha has been nature vs. nurture. That the two are opposed has been an absurdity to me for decades. The fight has largely been won by common sense: both act on each other to produce species and individuals. With de Waal's help, we see similar false conflicts melt away, at least when viewed through his lens and my eyes. Well written, insightful, impactful and touching, "Mama's Last Hug" should resonate with the reader for many years. I'd read a couple of essays or articles concerning Dr. de Waal and his research over the years, but had never until now read one of his books. I found that his presentation was very well thought out, erudite, and compassionate for his subject. 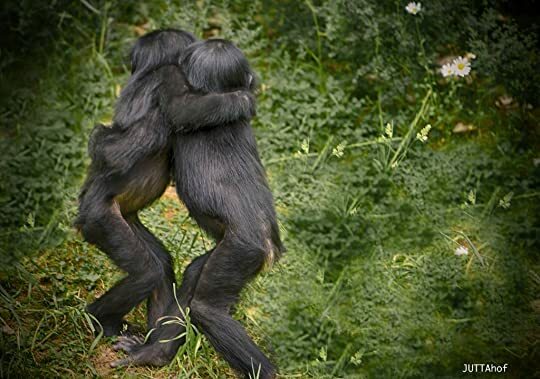 The idea, nay fact, that our cousins in the primate realm along with many of other mammals and vertebrates share similar emotional bases in their daily lives is not new to me. This book, however, solidified that view. From emotions to feeling to pain to polit I'd read a couple of essays or articles concerning Dr. de Waal and his research over the years, but had never until now read one of his books. From emotions to feeling to pain to politics, the author covers a wide range of aspects of mind and thought. Disclosure: I received a free 'advance readers copy' via a Goodreads.com give-away. I received this book in a Goodreads giveaway, and I'm really grateful for that. Why? Although I found the premise interesting, I lean more to escapism books such as sci-fi and fantasy. The book surprised me with how easily it drew me in. It doesn't read like a reference book or a scientific text -- it was more like reading a wonderful story with some explanatory narration thrown in to explain the more scientific and behavioral aspects. I loved this book and found myself a little changed afterwar I received this book in a Goodreads giveaway, and I'm really grateful for that. Why? Although I found the premise interesting, I lean more to escapism books such as sci-fi and fantasy. The book surprised me with how easily it drew me in. It doesn't read like a reference book or a scientific text -- it was more like reading a wonderful story with some explanatory narration thrown in to explain the more scientific and behavioral aspects. I loved this book and found myself a little changed afterwards. I see nature and animals with a wider perspective than before, and I'm grateful to the author for having written it. Loved this book!!! See the video of Mama and former caretaker in this book review, an example of joy, memory and obvious affection. Science has changed on views related to emotional experience of animals. Also interesting on what this science tells us about the human animal. Great read, one of my top 5 this year thus far. I do feel liberated after reading the book. We people do like our logic and reason. Maybe my reluctance with the subject of animal emotions wasn't only that I credited my dogs, Tilde and Zerline, for having emotions, but also that I was following my own emotions to think so. Now I know, it was not only the right thing to do, it actually also shows how similar and connected we truly are. Excellent book about animal emotions and the research behind them. I have always wondered why scientists denied that animals have emotions when the part of the brain from which they arise is an older part of the brain that we share with other animals. The book also discusses the difference between emotions and feelings. This book debuts at #4 on the NY Times non-fiction bestseller list on March 31st. It was written by a very well-respected and renowned Dutch biologist. I expected to be enlightened. Was I? Not so much. At times I felt like I was doing my best to "plow through" and get through to the end of it. These books are never super narratively interesting, but this provides a good through-line examining what it is that defines an emotion, and systematically breaking down the notion that humans stand alone. Lots of anecdotes of clever experiments, and some delightful WikiHow-style illustrations, make it a relatively fun read. Those who study animal behavior have been taught that it’s an intellectual sin to ascribe human capabilities such as morality, intelligence and emotions to animals. Primatologist Frans de Waal argues the reverse over this and his previous two books. He may be winning the argument. Frans de Waal has been named one of Time magazine’s 100 Most Influential People. The author of Are We Smart Enough to Know How Smart Animals Are?, among many other works, he is the C. H. Candler Professor in Emory University’s Psychology Department and director of the Living Links Center at the Yerkes National Primate Research Center. He lives in Atlanta, Georgia.